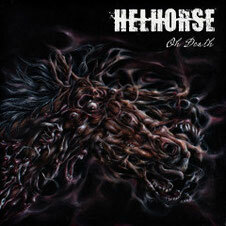 Danish band HELHORSE will release their second album "Oh Death" through Mighty Music / Target Records on September 23rd. They started out as 5 piece stoner, sludge band under the name of DØDNING in 2006. In 2007 they played support slots for bands like Black Label Society, Exodus, Opeth, 3 Inches Of Blood and set out on their first tour abroad in the Netherlands. The band has released the self-titled EP "DØDNING" (2009). After playing a series of significant shows with great bands and festivals such as the Spot Festival, the band released their first album "For Wolves And Vultures" (2011). 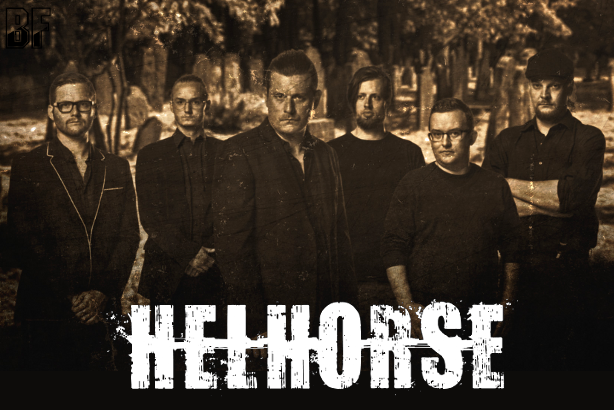 The album gained massive recognition both nationally and internationally, with top-marks from the critics and led to several shows in Europe and Denmark for key events at venues like Copenhell, Popkomm and By:Larm, as well as support slots for bands like Danzig, Valient Thorr and Crowbar. 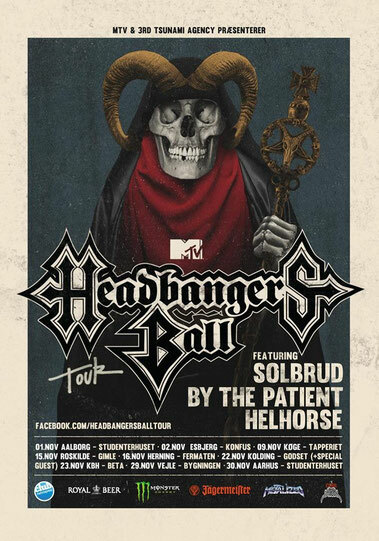 They had the European Tour in May 2013, including supports for the stellar rock band Kadavar, and will be performing in the Headbangers Ball Tour in November-December. Now HELHORSE is ready to deliver their 11 track second album. Ballads, punk explosions, heavy, meaty riffs are all aspects on "Oh Death", but there is a common denominator. You will be soon able to find out the love of the riff, the good melody and a tight song composition in their music which has a darkness, a more somber tone and deeper lyrics.